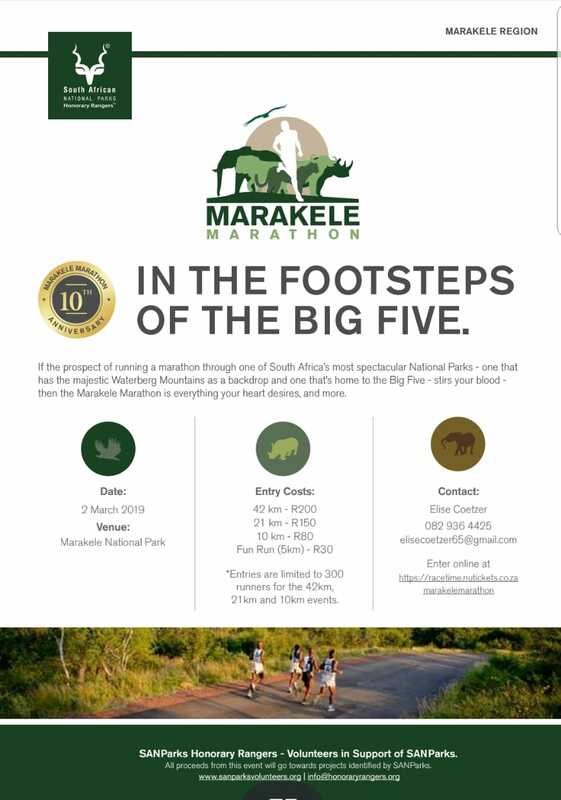 Marakele Marathon - In The Footsteps Of The Big Five. If the prospect of running a marathon through one of South Africa’s most spectacular National Parks – one that has the majestic Waterberg Mountains as a backdrop and one that’s home to the Big Five – stirs your blood – then the Marakele Marathon is everything your heart desires, and more. Entries are limited to 300 runners for the 42km, 21km, and 10km events. Bookmark this article Marakele Marathon – In The Footsteps Of The Big Five.